Ermitage Hotel Mar'ina Roshcha, Hotel Russia. Limited Time Offer! Ermitage Hotel. "Ermitage Hotel" is a hotel that has received 3 stars. 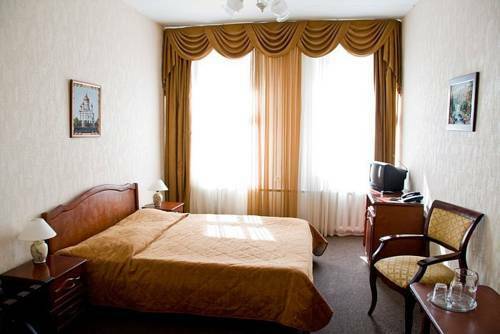 This accommodation is a perfect base point from which to discover Moscou. "Ermitage Hotel" includes an onsite restaurant which is known for its European and Russian specialties. For a drink after dinner, you will find the bar-restaurant most welcoming. Of course, you can go online at no extra charge. The Elegant Hotel is perfectly located for both business and leisure guests to Moscow.All hotel's guestrooms have all the conveniences expected in a hotel in its class to suit guests' utmost comforts.